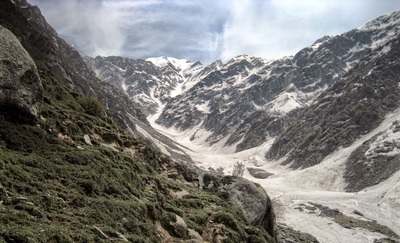 Waru pass lies to the northwest to Singhar Pass. Waru means “The gateway of Wind” and winds with very high velocity blow over this pass. The trek passes throught a number of intermediary ridges, dense forest, rivulets and snow nullahs. 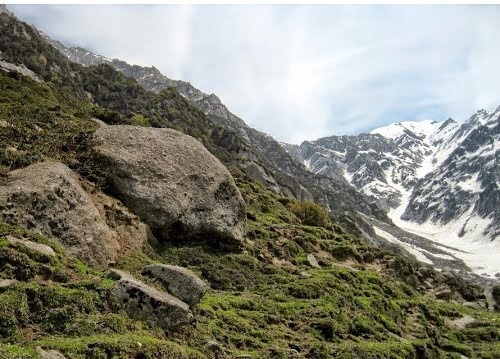 This trek is an easy one and poses no difficulty even for trekkers with little experience in trekking. 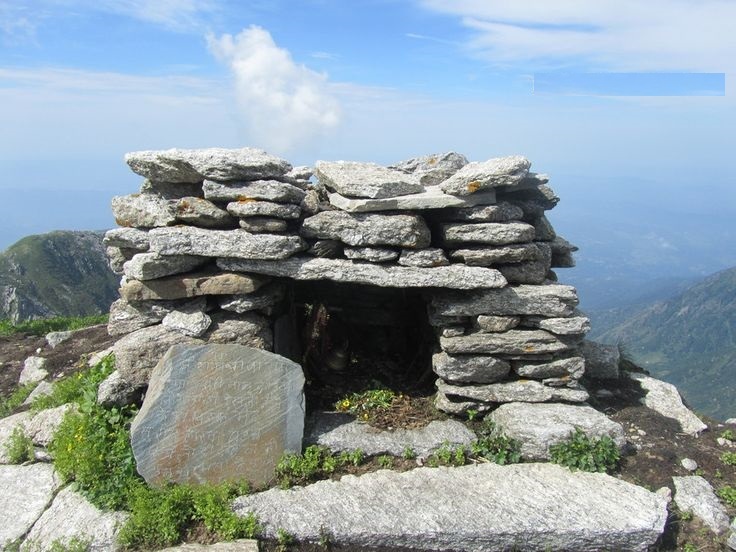 Situated at 3850 meters, locals use this pass frequently to cross from Palampur to Chamba. 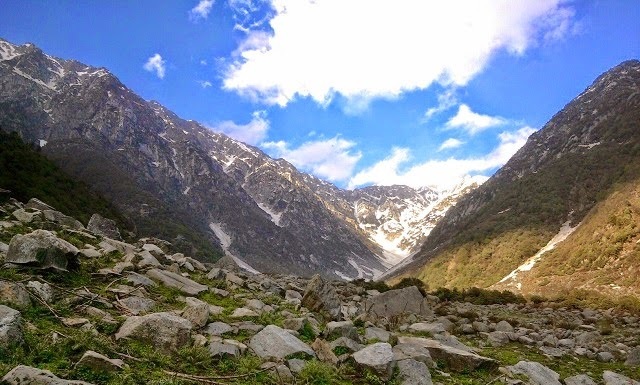 Enroute Waru Pass we will get to see mesmerizing views of Dhauladhars, Kangra and Chamba valley. We will also cross Satchali, which has got it's name from seven different rivulets mingling together. It's a beautiful glacier. The chirping of the birds intermingled with the murmur of streams flowing down the valley makes the atmosphere very enchanting. 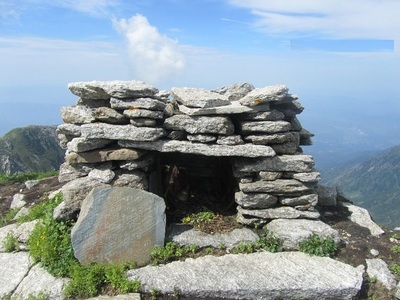 There are some improved huts of Gujjars and shepherds and a rock shelter. 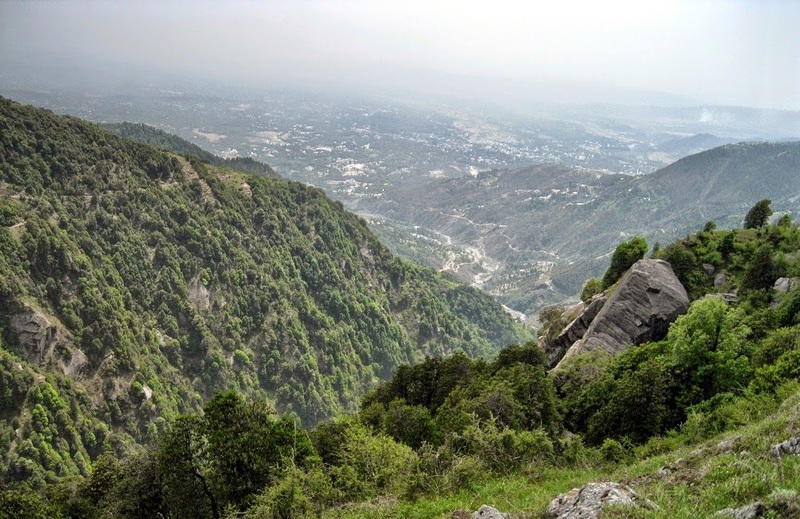 Palampur is a beautiful town 35 kms from Dharamshala, famous for its Tea Gardens and Temples. There are many places to visit here like Art Gallery in Andretta, Tea Factory, River Bed at Neugal, Jakhni Temple and Baijnath Temple. 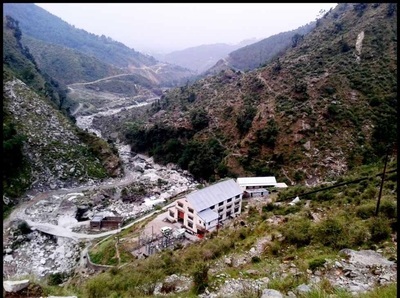 We will do sight seeing, some shopping at Palampur Market, relish sumptous food and overnight stay at a Guest House/Hotel. 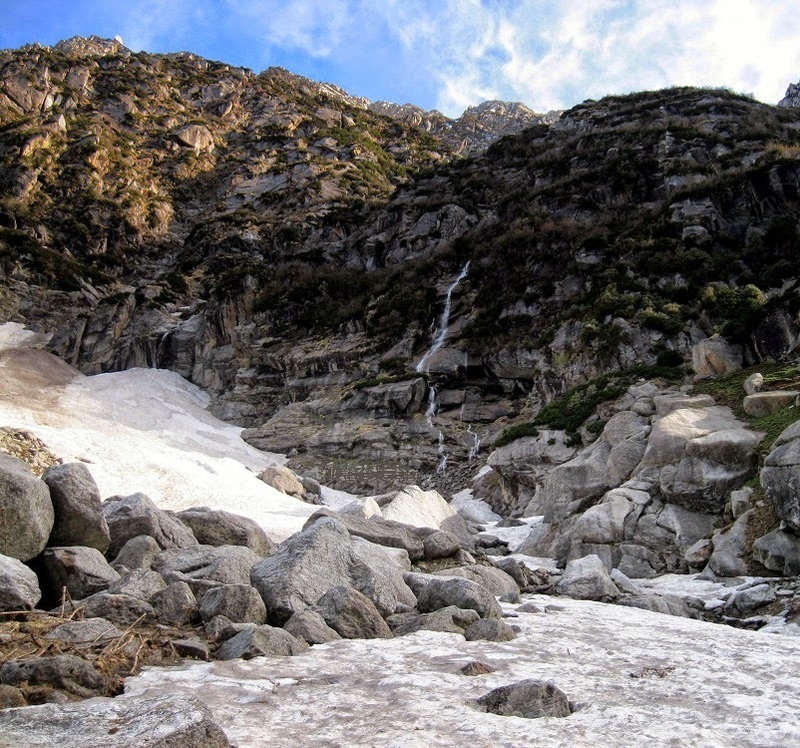 We trek towards Satchali which is a beautiful camping place and a meeting point for seven rivulets and a glacier. We camp here tonight below open sky and beautiful stars. Thanetar village is at about 13 kilometers from Nayagram, which is an easy trail and takes about 4 hours. On the way, there is a Kali temple at 3300m. on one side of the ridge near Tunda Munda. From here onwards you will pass the villages Chunehar and Dhog. We camp at Nayagram tonight. We drive from Nayagram towards Bharmour with beautiful memories in our jeeps. Where we will board our bus to Delhi. We will provide trained Hindi and English speaking guide and proper backup and safety along with great food and camping. 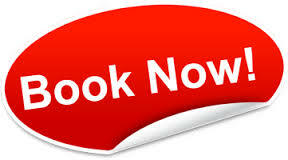 Please inquire and fill the form below to book. Per day cost will be upwards of 2000/-per person on per day basis and can be negotiated based on group size and facilities. Best Quality Tents, Sleeping Bags, Camping Equipment, Ropes, Ice Axe (Where required). Cost does not exclude Travel Insurance and Trekkers have to sign a risk certificate. ​Click Here to know whats included in your package and what to bring along?